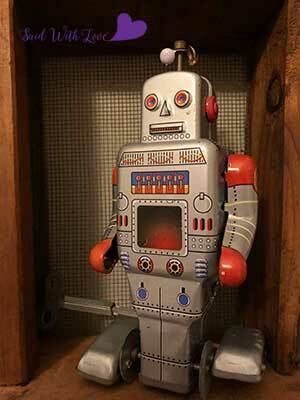 This month’s Charm Collective pattern is the Charmbot! 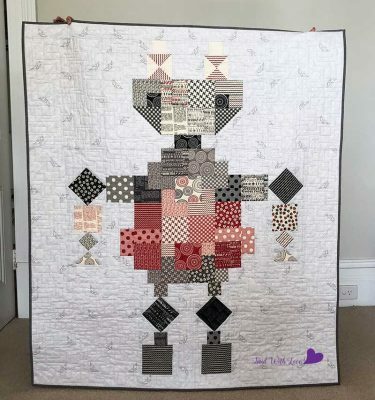 Having a couple of nephews (and now a couple of great-nephews) I am always on the look out for quilt patterns that are great for boys…. and this one is just the ticket! 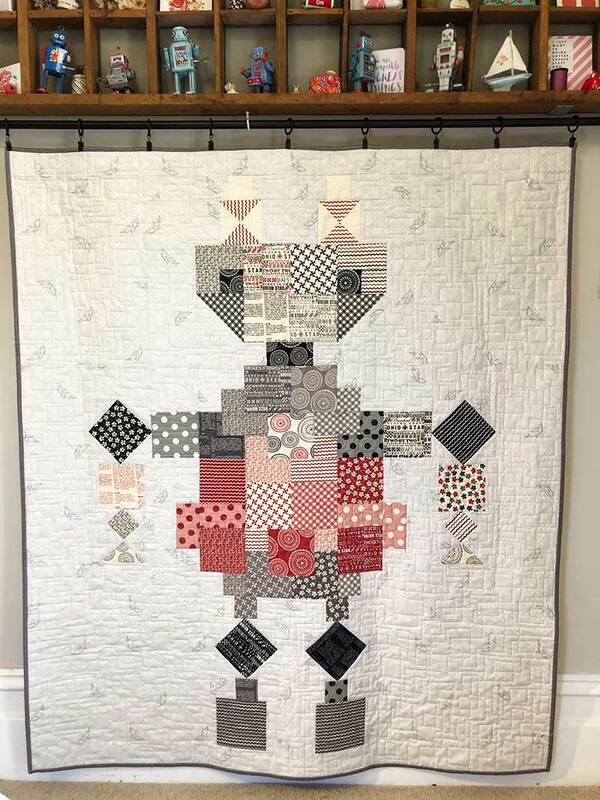 I mean, who can resist a robot quilt?! 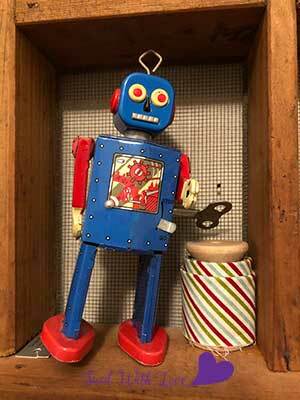 Actually, this one was inspired by my niece, Tegan, who is robot mad! 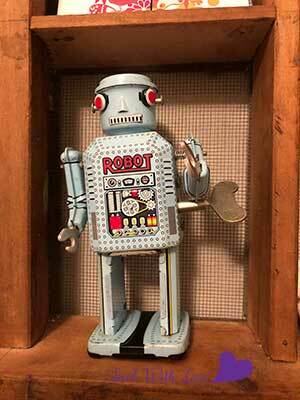 She has been collecting all these really cool old robot toys for ages now. These are just a few of her amazing collection! 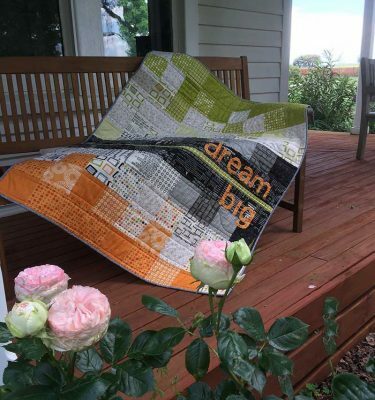 As per every month so far, this quilt uses up a complete charm pack (42 – 5″ charm squares). 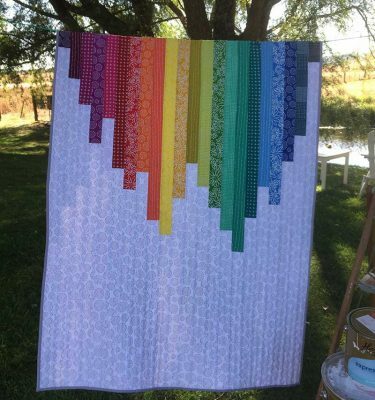 This would also be great using up those charm squares from a swap or your stash to have a bit more control over the colours of the quilt. 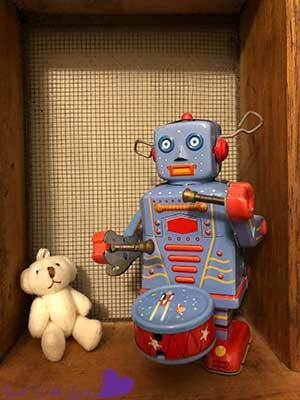 The instructions have detailed pictures and step-by-step graphics as to how to build your own robot out of a charm pack! 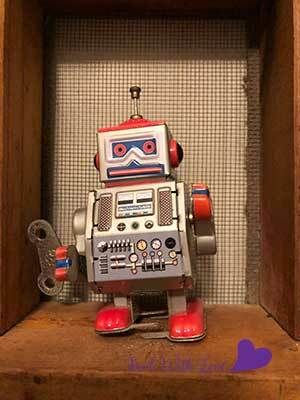 I have used a Sweetwater Sew Mama Said charm pack, so my robot has been nicknamed the Sewbot! 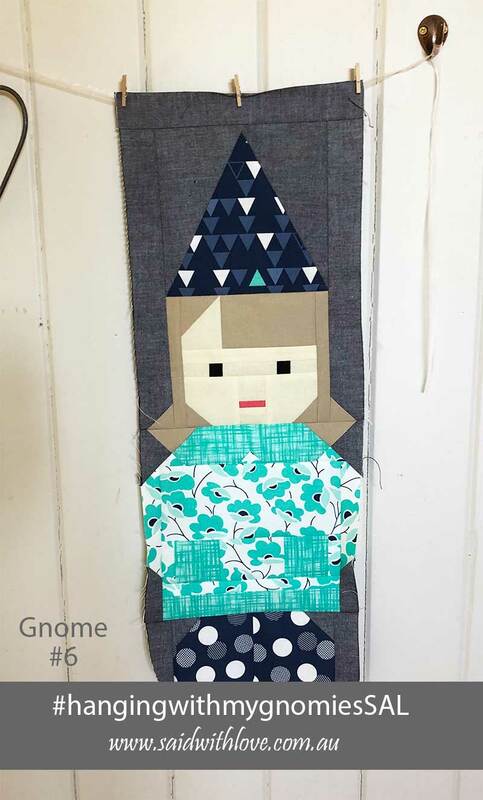 Now, if only I could get her working hard on cutting out my next couple of quilts…..! 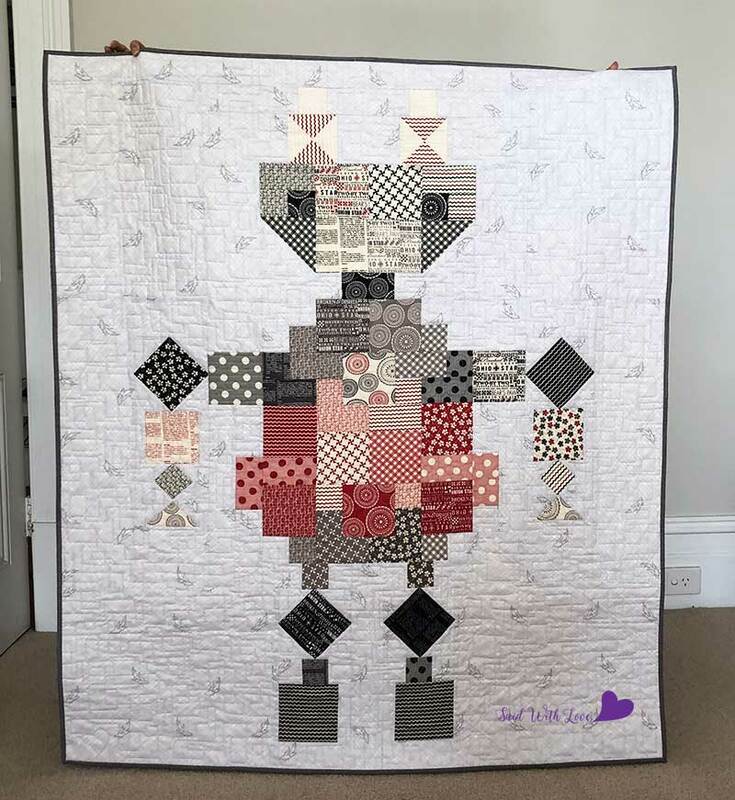 This is such a fun quilt to make up, it is going to be great to see what everyone makes with it! 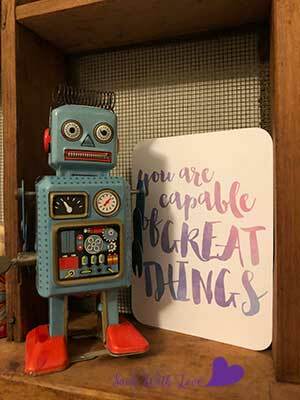 Keep an eye on my Instagram feed over the next couple of days to see the various robots that all my wonderful testers came up with! 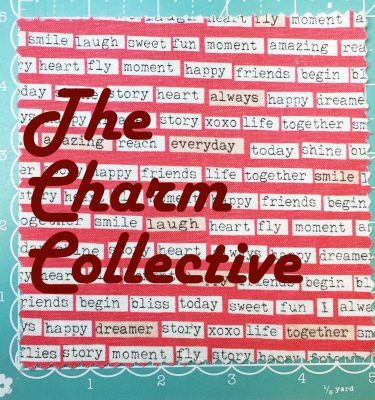 Our Charm Collective subscribers have already received their Charmbot pattern in their inbox this morning, if you want to grab a copy of this pattern click on the button below. 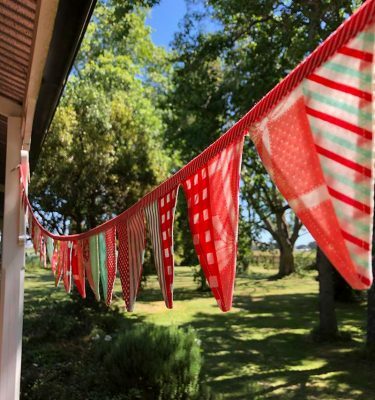 Or if you would like to become a subscriber too, click here to sign up and you will receive each month’s patterns on the first Thursday of the month into your inbox. And we send you all the patterns released so far (including the subscriber bonus patterns! ).